Ruwac’s exclusive Direct Bagging Vacuums are designed to ultimately act as a maintenance-free collection source for the vacuum, ensuring that users don’t come in contact with its contents while making disposal quick and easy! 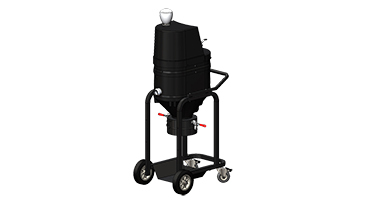 These industrial vacuums are offered with continuous and intermittent duty operation that make it ideal for everything from general housekeeping, point of source extraction and industrial shop maintenance. No power? No problem? Ruwac's Alternative Power Series are rugged industrial vacuum cleaners featuring alternative energy powered motors ready to be used remotely without an electrical source.an. Their exclusive direct bagging system for dust-free collection allows for zero contact with contaminants upon disposal, keeping workers safe from hazardous materials. 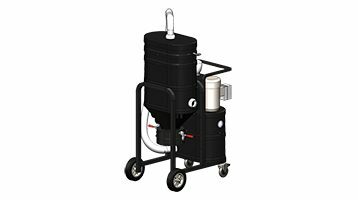 Ruwac's Red Line Pro Bagger Series combines superior HEPA filtration with unparalleled performance, offering the best and most versatile intermittent duty direct bagging vacuum solution for silica dust. The direct bagging dust-free collection allows for zero contact with contaminants upon disposal, keeping workers safe from hazardous materials. The Workhouse Series by Ruwac includes continuous duty vacuum cleaners for industrial use,. Each vacuum is equipped with either a single or three phase motors, static dissipating carbon impregnated housing, and is topped off by an exclusive direct bagging system for dust-free collection that allows for zero contact with contaminants upon disposal, keeping workers safe from hazardous materials. 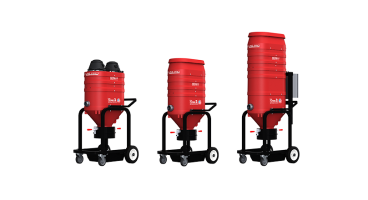 Ruwac's Red Line Series combines superior filtration with unparalleled performance, offering the best and most versatile intermittent duty direct bagging vacuum cleaner for fine dust and dust-free collection that allows for zero contact with contaminants upon disposal, keeping workers safe from hazardous materials.